Catalina’s less populated community is a popular destination for camping, hiking and mooring. TWO HARBORS —Two Harbors is so small a town it makes nearby Avalon – a city with no traffic lights and a strict quota of automotive vehicles within city limits – appear to be a hustling, bustling metropolis. 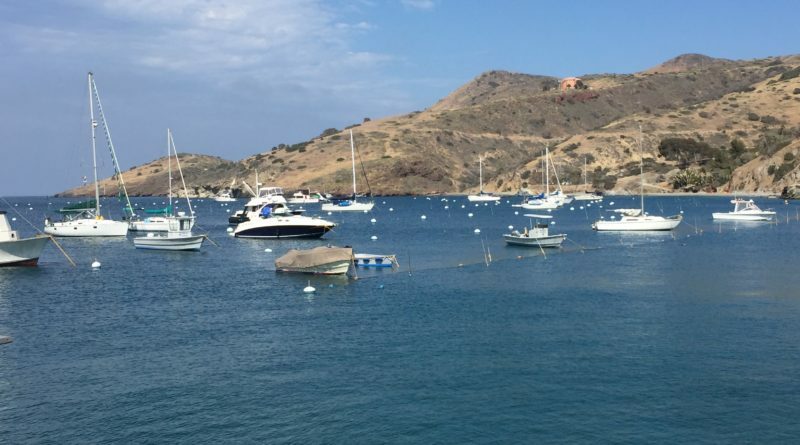 The easy-going vibe and slower pace of Catalina Island’s West End, however, does not mean Two Harbors is a bore of a destination. One of the smallest communities in Los Angeles County is home to several activities, such as camping, fishing, kayaking, hiking, snorkeling and scuba diving. The latest addition to Two Harbors is Harbor Sands, which features a South Pacific theme with its rustic palapas for rent. Palapas can fit up to eight people and include refreshments, beach towels and lounge chairs. Food and beverage service from nearby Harbor Reef Restaurant is available from 10 a.m. to 5 p.m. (not available during winter months). Those interested in a little sport can indulge in a bout of disc golf. Discs are available for rent from Two Harbors Dive and Recreation Center, which is located at Two Harbors Pier. Take your discs and scorecard to the south end of Buffalo Park, where you’ll find the first hole. Disc golf is available year-round; a gold set costs $5 per hour of $15 through closing time. Visitors can arrive at Two Harbors by boat, but there is a way to travel from Avalon to the island’s only civilization on the West End by land: Safari Bus. Safari Bus, which stops at Little Harbor, Airport-in-the-Sky and the trailhead at Black Jack Junction, operates daily and is an ideal way to view the interior while traveling from one end of the island to the other. Call 310-510-4205 for pricing information and for hours of operation. Banning House Lodge is the one public accommodation on the island, featuring 12 guest rooms and styled as a lodge. Call 800-446-0261 or visit VisitTwoHarbors.com for information or to make reservations. Boaters who anchor at Two Harbors can come to land by shore boat. The service is available year-round from Cherry Cove, Fourth of July Cove, Isthmus Cove and the anchorage. Upcoming events at Two Harbors include the Jimmy Walker “Buffalo Chip” Toss (Sept. 2); Microbrew Festival (Sept. 9), Buccaneer Days (Oct. 5-8), Thanksgiving “Island Style,” (Nov. 23) and New Year’s Eve (Dec. 31). Call 310-510-4249 or email lboutillier@scico.com for more information about upcoming events.